Ever since our first issue of Greenbrier Valley Quarterly, we have had a focus on the food scene throughout The Greenbrier Valley. Over the past 14 years we have worked with a number of chefs and restauranteurs that make our region one of the best food destinations in West Virginia. We wanted to highlight our favorite chefs throughout the area and give them some of the credit for making The Greenbrier Valley such a culinary hit. It’s always amazing to us the quality of food professionals we have the area, and make no mistake about it, The Greenbrier resort and its culinary programs are a major driver for that. Every single one of the below chefs is, in some way, tied to legendary kitchens of the Greenbrier. After graduating from Penn State with a degree in restaurant management, Todd Wagner came to The Greenbrier to join the prestigious apprenticeship program. In 2000, he was a finalist for the ACF Culinary Team. After eight years of cheffing at the hotel, he moved on to open the Harvest Market & Grill in Fairlea. After later overseeing the Greenbrier Medical Center food program, as well as a stint as sous chef at The Greenbrier Sporting Club, Wagner took a hiatus from the food world to pursue a career in health care. He was drawn back into the Lewisburg food scene when Hill and Holler opened in 2015. Since then, his Neapolitan pizzas, famous crab cakes, smoked wings, and varied salads have been drawing crowds to the downtown Lewisburg eatery. 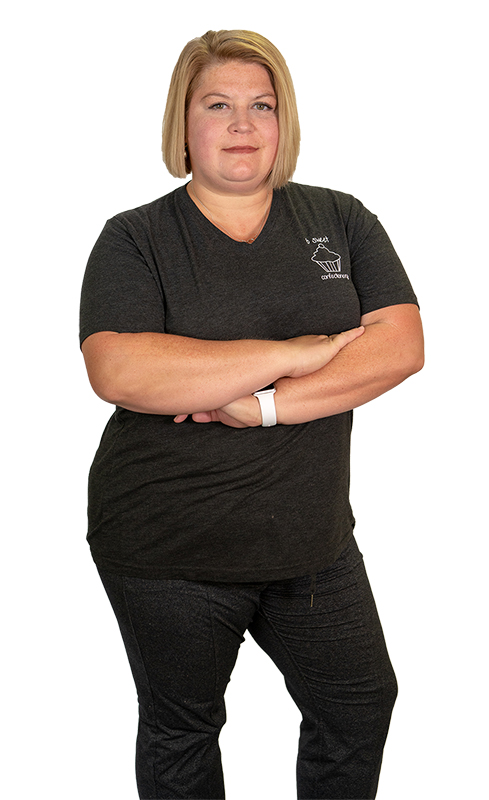 Amy Mills is the owner and operator of Amy’s Cakes and Cones. Her passion for food led her to Johnson and Wales University in Charleston, SC, and Providence RI, where she received an associates degrees in culinary arts and baking and pastry arts. She worked at the Greenbrier for nearly 11 years before becoming the executive pastry chef at the Greenbrier Sporting Club for over 13 years. She opened Amy’s Cakes and Cones in 2016 and made it her full-time endeavor in 2017. Chef Gustard grew up in Virginia Beach until he had the opportunity to move to the hills of West Virginia to work at The Greenbrier. Upon graduating from the Apprenticeship Program, Gustard took a position on Gasparilla Island, in Florida, before returning to work at The Greenbrier Sporting Club in 2005. Through his years at The Sporting Club, he opened the Summit Restaurant and then became the executive chef running all culinary operations. Chef Gustard then moved on to a more private setting at The French Goat restaurant in Lewisburg where he currently enjoys cooking. Born in the city of Rennes in Brittany, France, Jean-François Suteau is a 15th-generation pastry chef whose baking lineage can be traced to the 1700s. In 1986, Chef Suteau entered the bakery apprenticeship at Alain Coller shop subsequently graduating with a bronze medal for the Best Baker Apprentice in France. Since arriving in the US in 1992, he has baked in fine establishments including Ritz-Carlton Atlanta Buckhead, The Adolphus Hotel in Dallas, and Beverly Hills Hotel, among others. 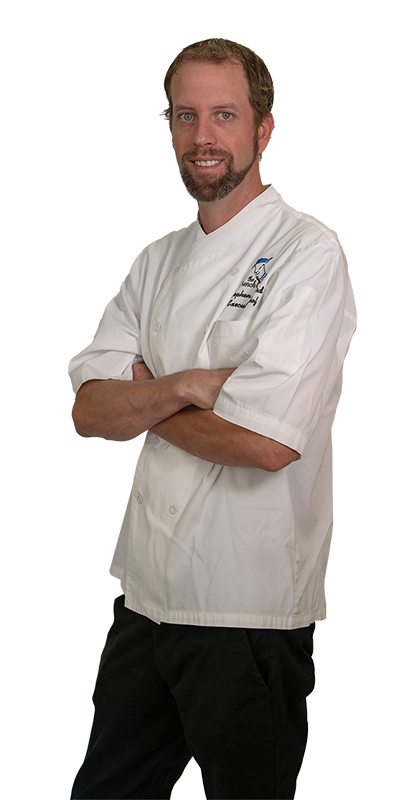 Chef Suteau has garnered accolades including a gold medal in the Pastry World Cup, a gold medal at the World Chocolate Masters and the title of US Chocolate Master. In June 2018, he was a finalist in the Food Network’s “Best Baker in America.” He has served as executive pastry chef at The Greenbrier Resort since 2011. Tammy Jordan is the founder, president, executive pastry chef, and agricultural instructor of Fruits of Labor, Inc. She is also the founder of The Training Center which serves as the home of Seeds of Recovery, a nationally recognized American Culinary Federation (ACF) Quality Program for individuals in addiction recovery and Seeds of Hope, a training program for at-risk youth and young adults aging out of the Foster Care System. In 2017, Jordan received the Zenith Award and was named Greenbrier Chamber of Commerce Business Leader of the Year. Author of two award-winning devotional books, Jordan’s third publication will be released in 2019. Bryan Skelding’s prolific career has taken him from the Wisconsin Dells to the Royal Hawaiian Hotel in Honolulu and from Handke’s Cuisine in Columbus, OH to Los Angeles’ L’Orangerie. He has weaved in and out of The Greenbrier’s historic kitchens since 2002, and in June of 2013 he assumed the role of executive chef. Chef Skelding continues to challenge himself and those in his team to excel in constantly improving guest dining experience while maintaining the exceptional culinary techniques and history for which The Greenbrier is known. All of his achievements he attributes to his personal level of dedication to honing in on his culinary craft and maintaining his team of over 200 culinary professionals and 75 stewarding team members.